The smell of rats hung heavily in the air at City Hall Monday. The smell of rats hung heavily in the air at City Hall last night. 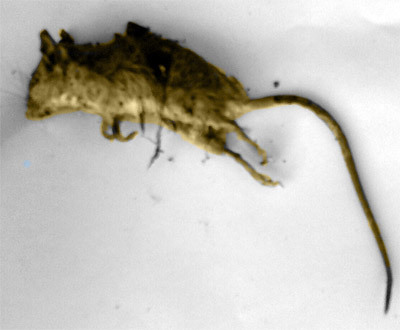 Not just the dead rat which Julie Brosius produced – the third one found in her yard this year and a problem appearing to stem from her neighbor’s unsanitary and illegal storage of garbage – another issue which Sunbury Code Office seem incapable of addressing. There were rats galore brought to light by Drake Saxton, none of which were deemed worthy of mention by the Daily Item. Maybe their reporter was asleep during this phase of the meeting. 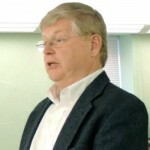 Persing was questioned about Softball – or rather about the apparent lack of transparency in the operation of the sport in the City. How City assets and financial resources are being used to support the operation of the David L Persing Sports Complex but, despite this, none of the vast sums of money raised seems to be finding its way back to City Hall. Then there was the subject of the River Wall. The Riverfront is the home of countless rats and once again the cost of replacement rather than repair was raised. Councilman Eister attempted unsuccessfully to justify his lemming-like rush to spend our tax dollars on a new $300,000 Redi Rock wall rather than making use of the $30,500 grant given after the 2011 flood to repair the historic WPA wall. Then there was the subject of Celotex. Mr. Saxton produced evidence of site contamination contained in a 2011 DEP report – contamination by arsenic and various carcinogenic VOCs (Volatile Organic Compounds). He raised the very real concerns of Caketown residents regarding the huge clouds of toxic dust caused by truck movements within the site during the hot weather – dust which one witness described as having the appearance of smoke from a huge fire as it hung in the air over the City – toxic dust which coated properties throughout the area and which was also being breathed in by local inhabitants. Persing seemed unconcerned and did not appear to view the health of City residents even worthy of sharing with the meeting whatever thoughts he may have had going through his head at that time. Later in the meeting more rats reared their heads when the issue of the security cameras came up. Councilman Eister announced that 47 out of 50 cameras had been installed, but work had to stop because the contractor’s bill would otherwise exceed the $10,000 figure – the maximum amount that could be spent “without putting the work out to bid”. There are two issues here. First of all, what happened to the “more than 200 cameras” that were purchased (Daily Item, January 10th 2013)? and secondly, why was this work not put out to tender anyway? What kind of cozy arrangement might exist between the Administration and the contractor – an arrangement which could certainly open them up to accusations of collusion? A final rat, in the form of property blight, ran across the meeting room, and we were updated on the “progress” being made by Sunbury “Redevelopment” in their relentless quest to demolish homes and turn our city into one vast parking lot. It was obvious from the attitude of those who would be our kings that the biggest blight of all, hovering over our city like a cloud of toxic Celotex dust, is the blight of the Persing Administration itself. Fortunately there is an easy fix for this particular problem. Vote them out on November 5th. Our City deserves much better.